Art Ensemble of Chicago 21 ECM CD Set! 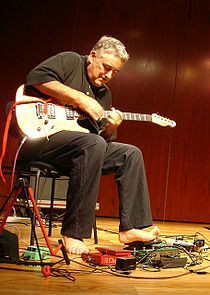 New from Clean Feed: Fred Frith / Philip Greenlief Trio! The Way Ahead! Zack Clarke 5! Francesco Cusa & the Assassins! Acid Mothers Temple! Mohsen Namjoo / Anders Nilsson Qt! Xander Naylor’s ‘Transmission’! Merzbow! Tiger Hatchery! Aki Onda & Akio Suzuki! Lionel Marchetti & Cat Hope! Plus Historic Discs from The Velvet Underground! Art Blakey & Jazz Messengers! Count Basie Orchestra! Eric Dolphy Rare Live Quintet! Max Roach! Modern Jazz Quartet! Wes Montgomery & Stan Tracey! LP’s from Eugene Chadbourne & Sunwatchers! Bruce Russell! Denis Tek & the Visitors! Marc Cunningham’s Blood Quartet! And even more Sonic Gems! Sunday, December 30th: Nearly New Years Celebration! 6pm: BEN GOLDBERG and Friends! 6pm: MATANA ROBERTS and DARIUS JONES – Alto Sax Duets – First Time Duet!